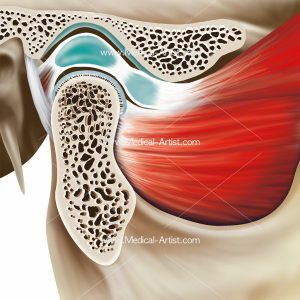 The medical artist team are dedicated to providing high-end anatomically correct illustrations, to support medical communications in any business, marketing or advertisement or research environment. 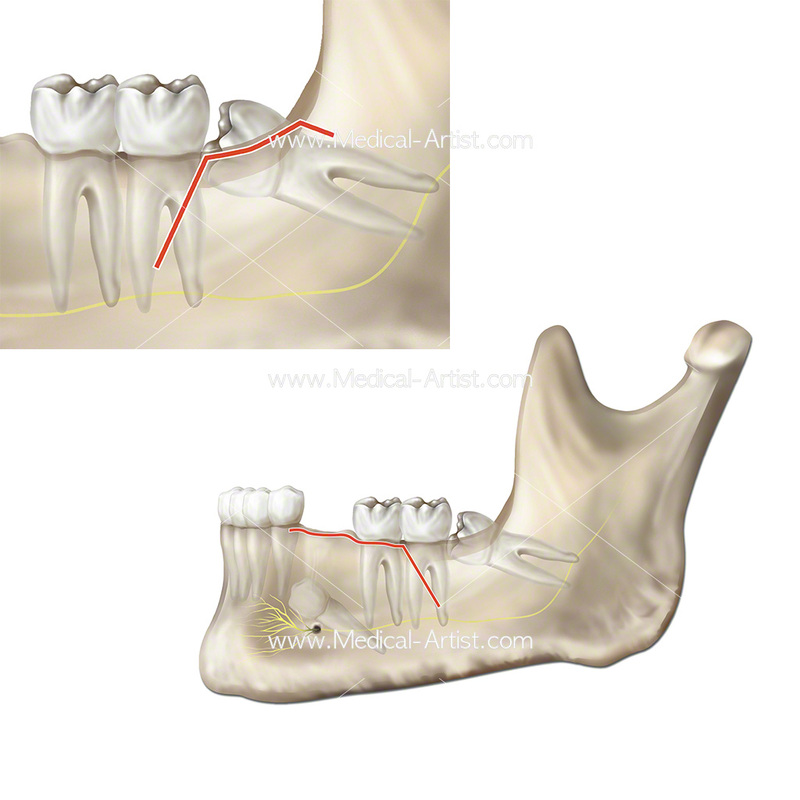 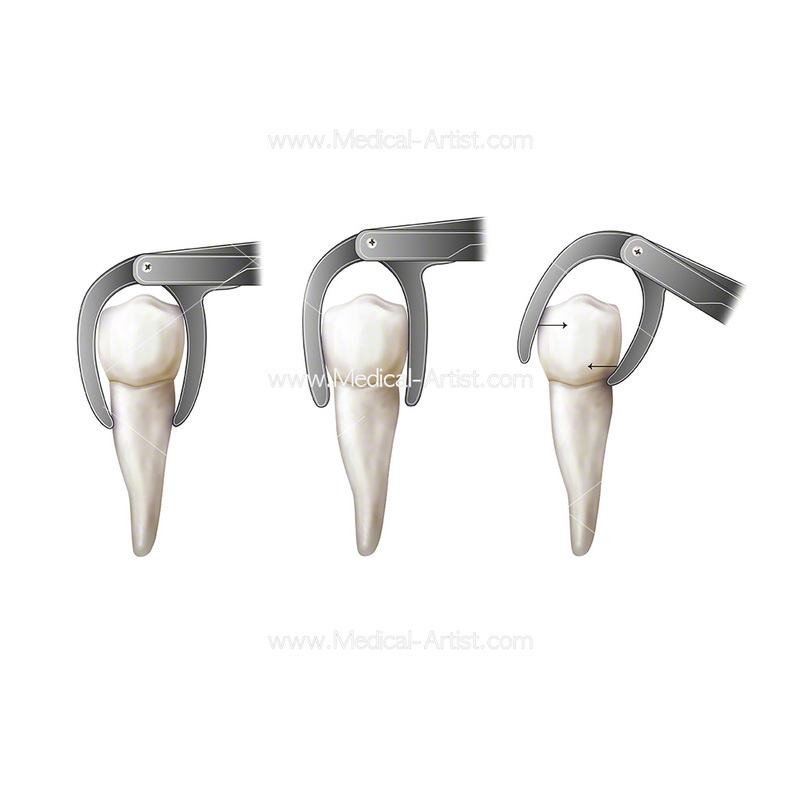 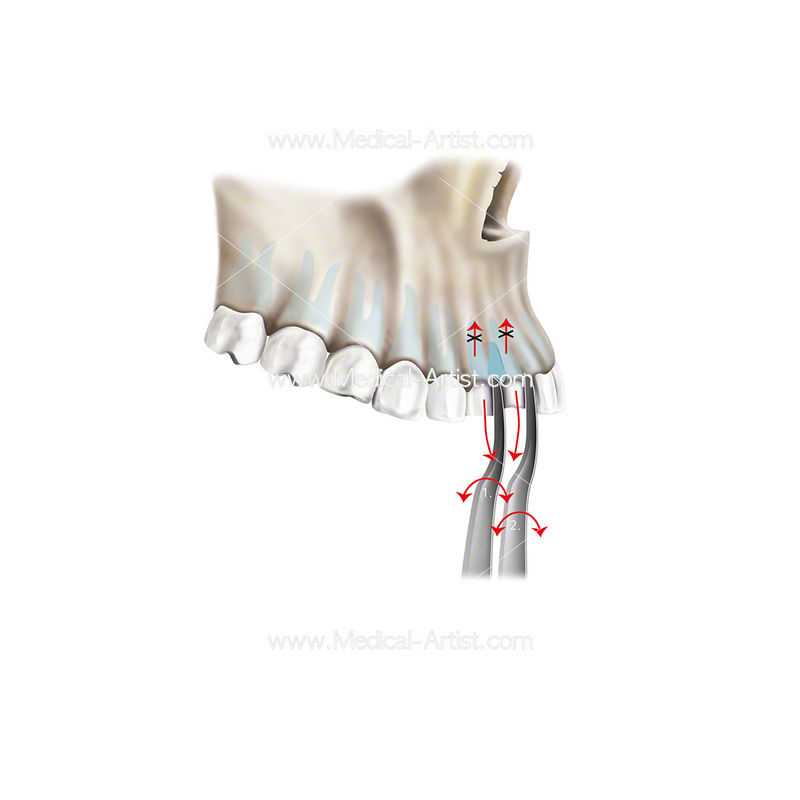 We create dental surgery based medical illustrations on the anatomy of dental procedures, tooth anatomy, joint anatomy and key associated anatomical areas such as the temporomandibular joint. 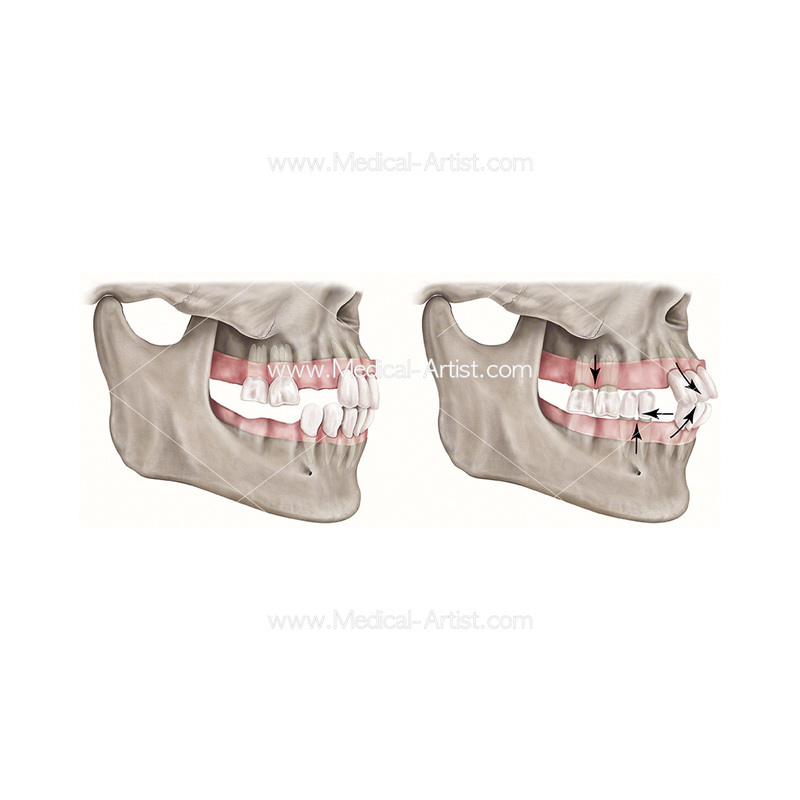 Our illustrations are anatomically accurate giving our clients the confidence to request the visual creation of any dental subject. 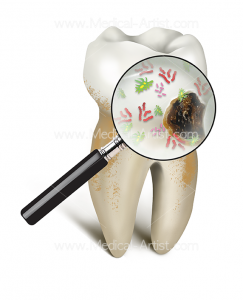 We also have a further gallery of dental, tooth anatomy illustrations. 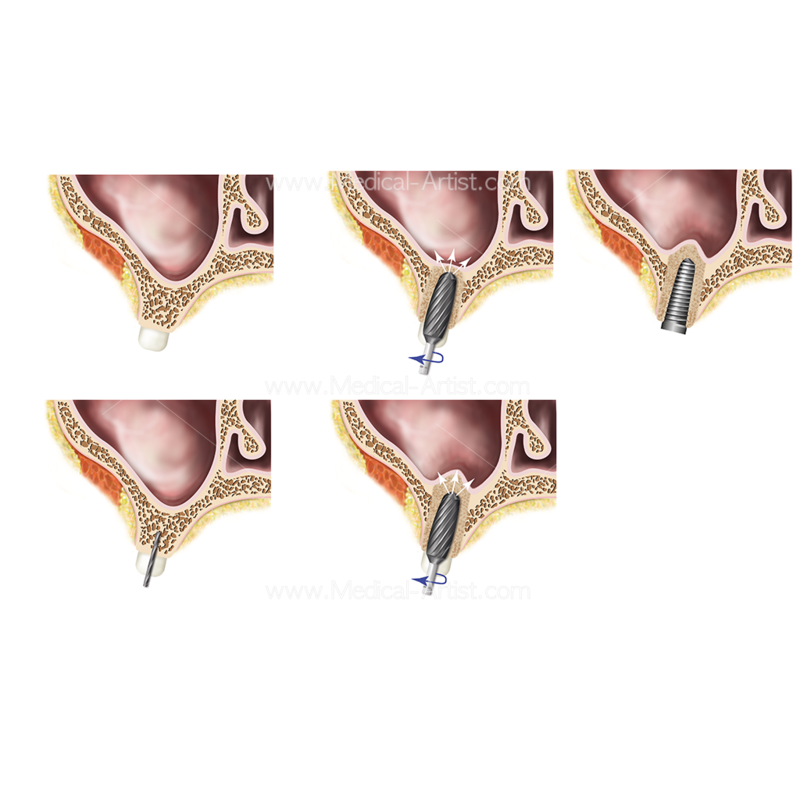 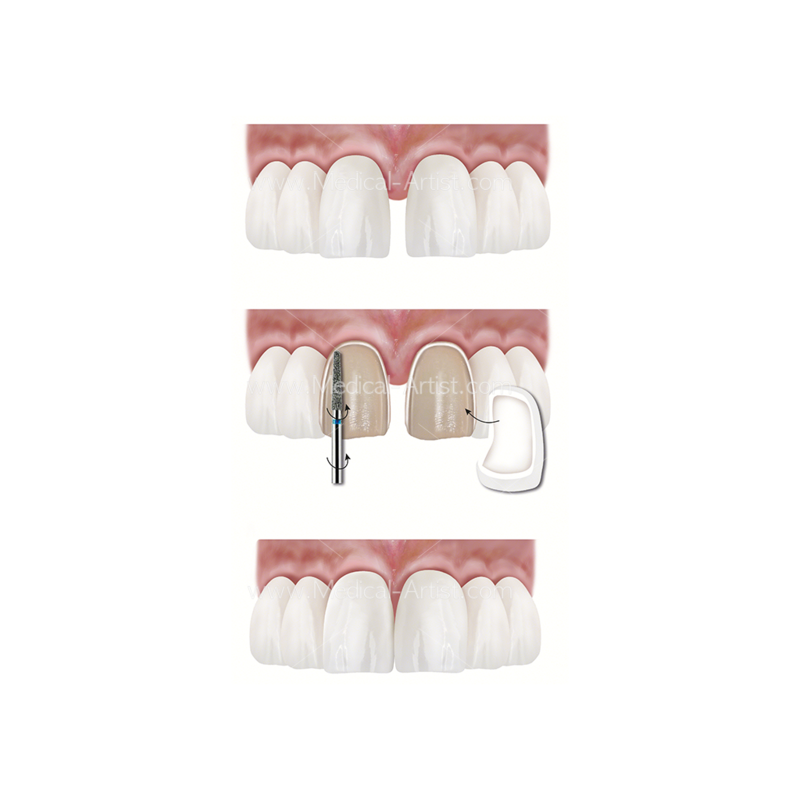 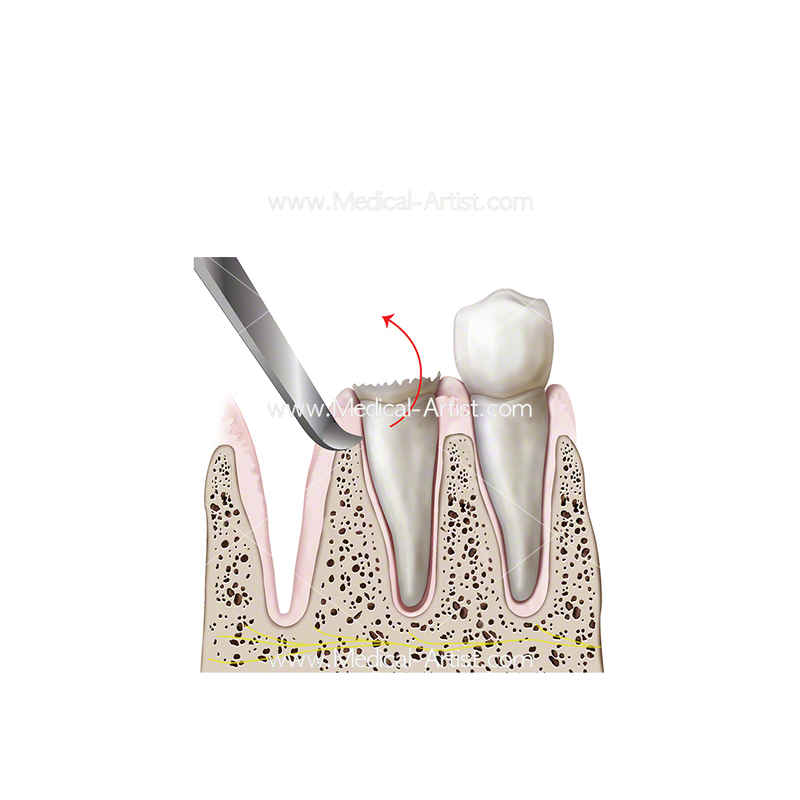 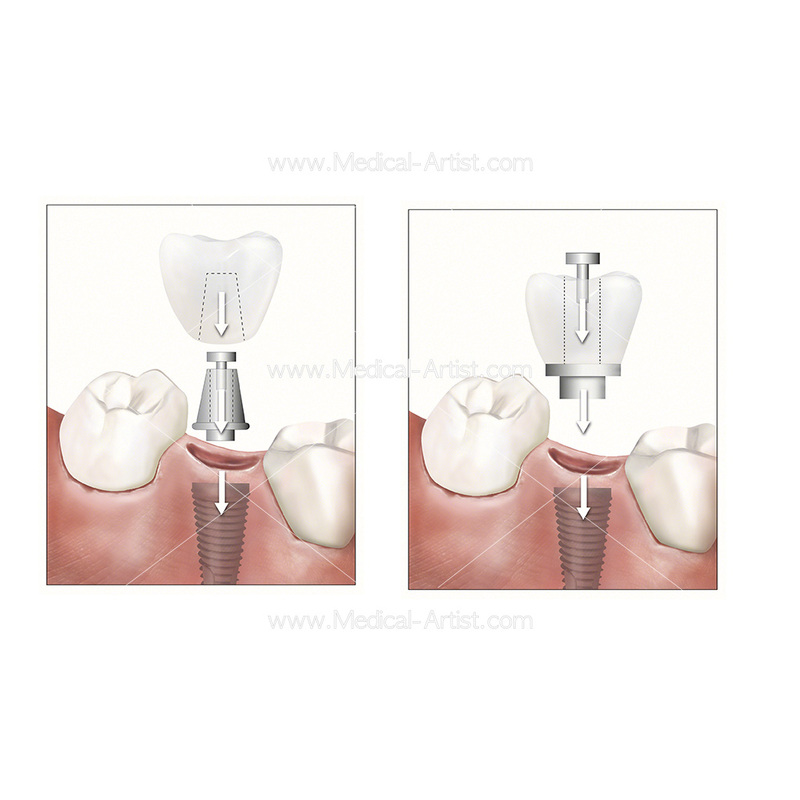 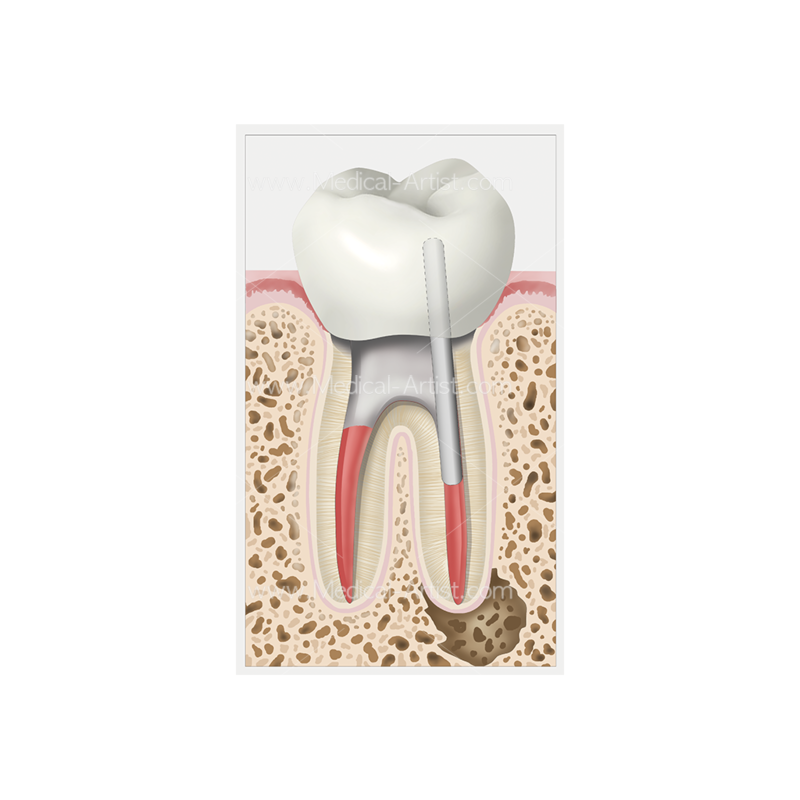 Our dental medical illustrations include the illustration of exodontia, the removal of the tooth from the mouth, where extractions are performed for a wide variety of reasons. Tooth decay is often the reason, where it has destroyed enough of the tooth structure to render the tooth non-restorable. 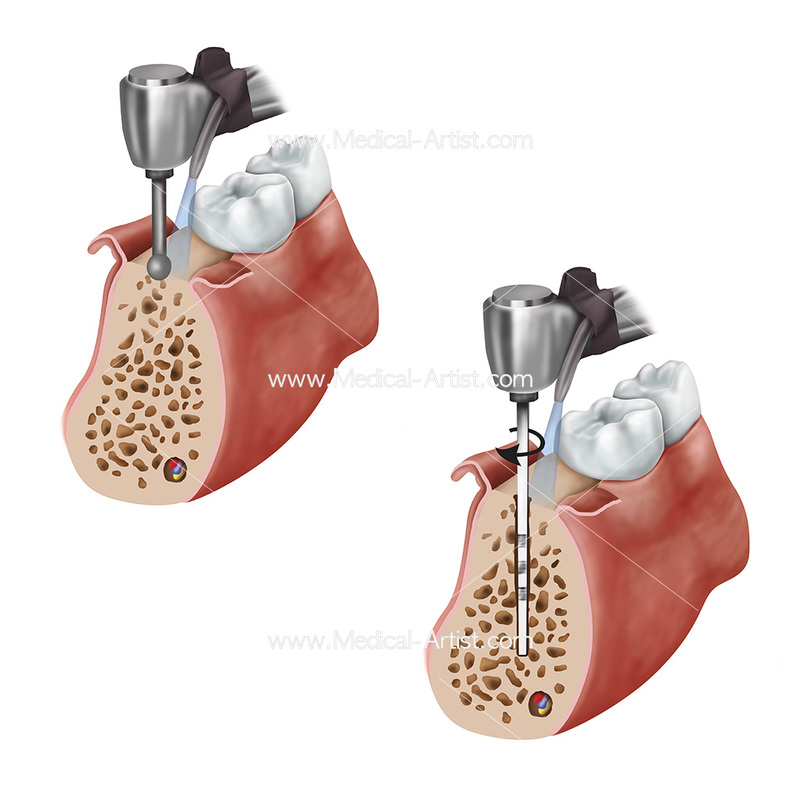 Carried out under anaesthesia, the dentists inject anaesthetics to block sensory transmission served by the alveolar nerves. 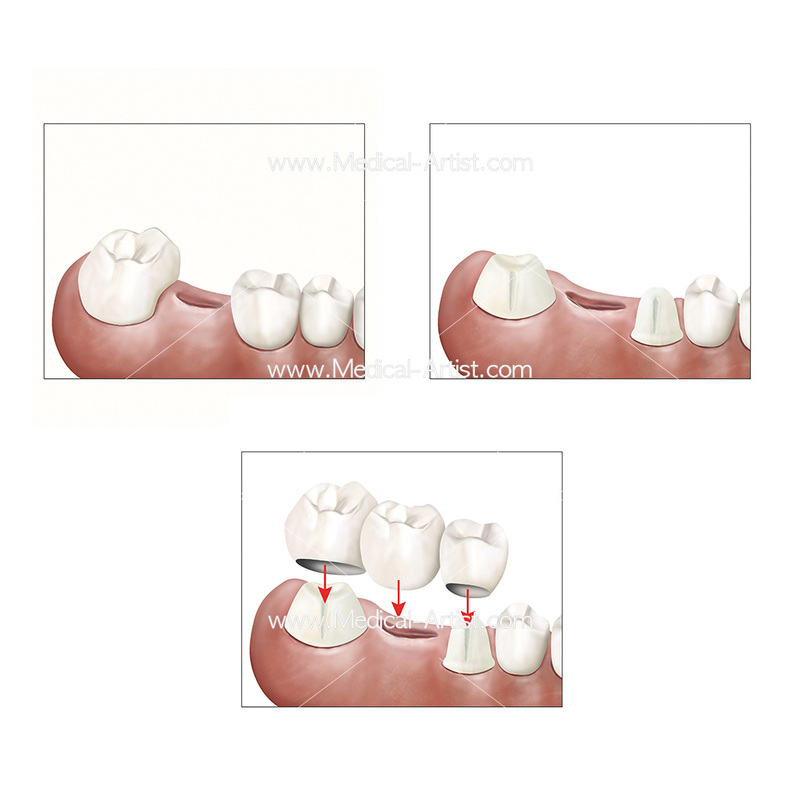 Oral Surgery can be the removal of teeth, the placement of dental implants, performing cosmetic or reconstructive surgery in the oral area and much more. 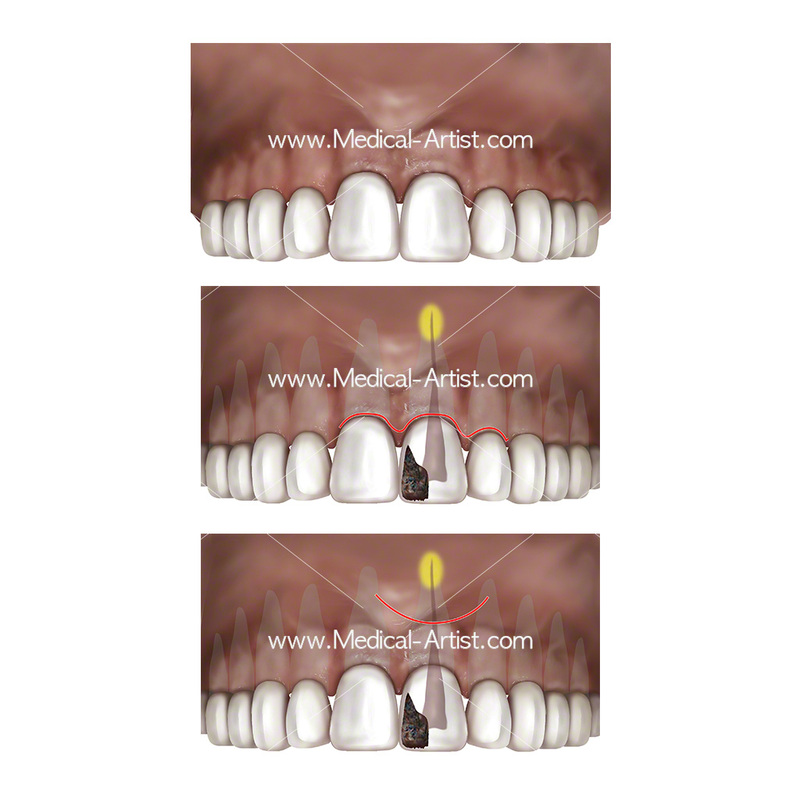 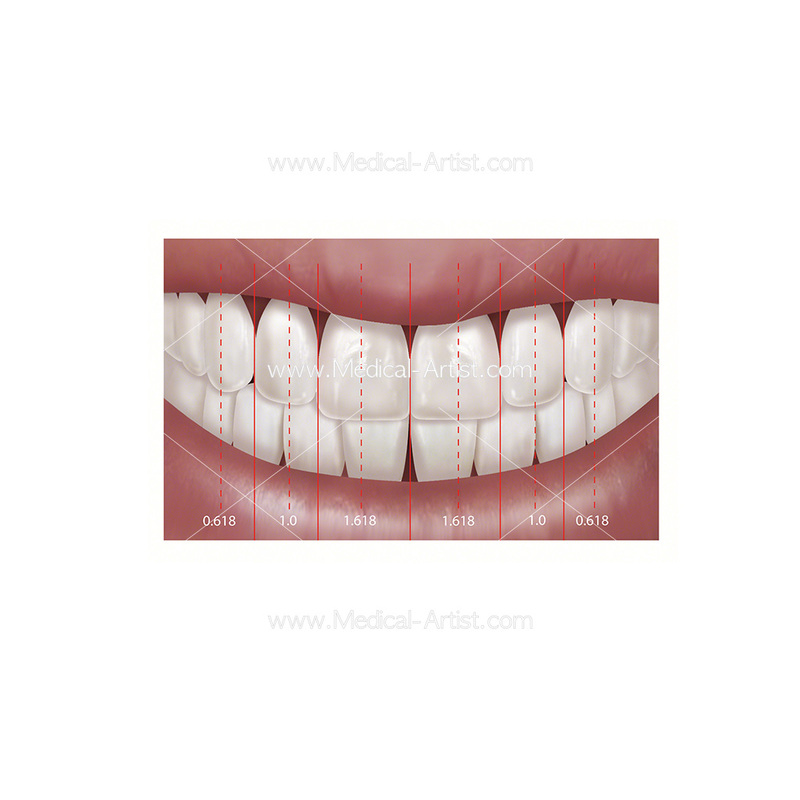 The complexity of dental surgery often requires medical illustrations to aid understanding and communication. 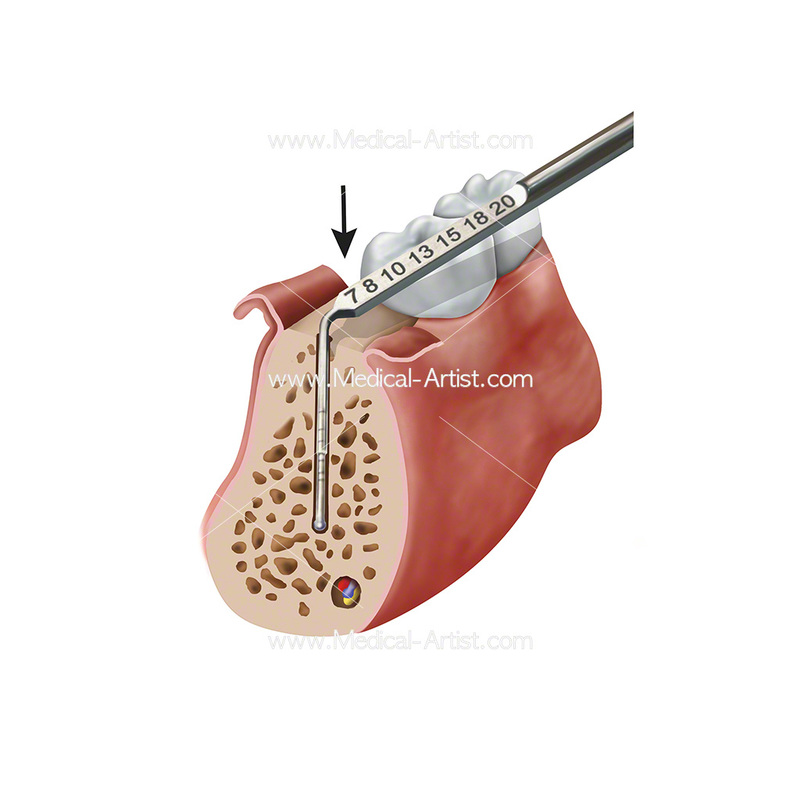 This is where medical artists come in, they produce bespoke visuals to accompany written text. 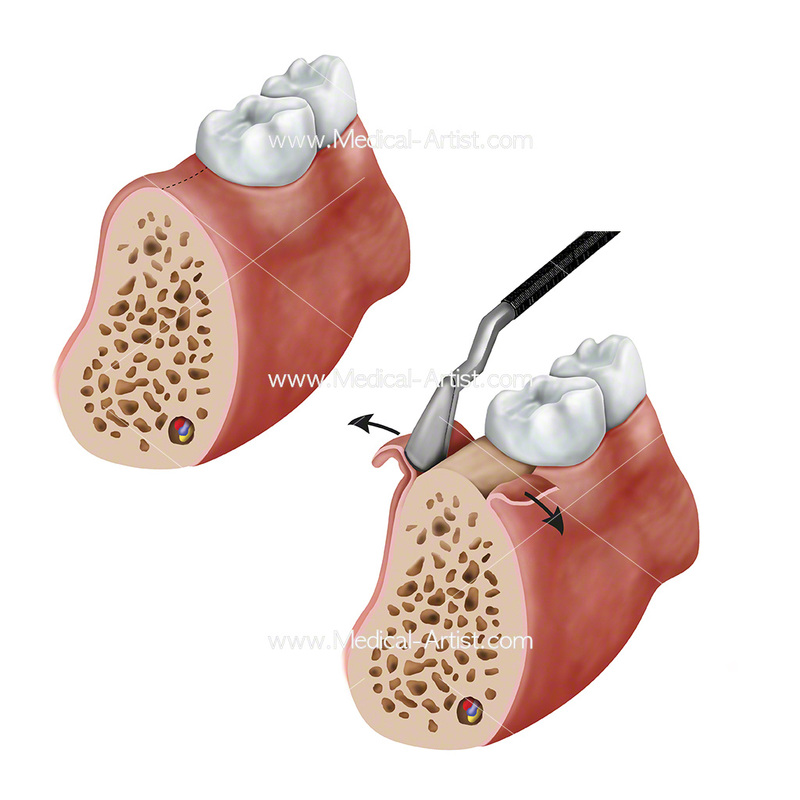 Dental surgery involving medical procedures to treat a pathological condition such as disease or injury of the teeth and jaw bones has been the subject matter for the medical illustrations in this gallery. 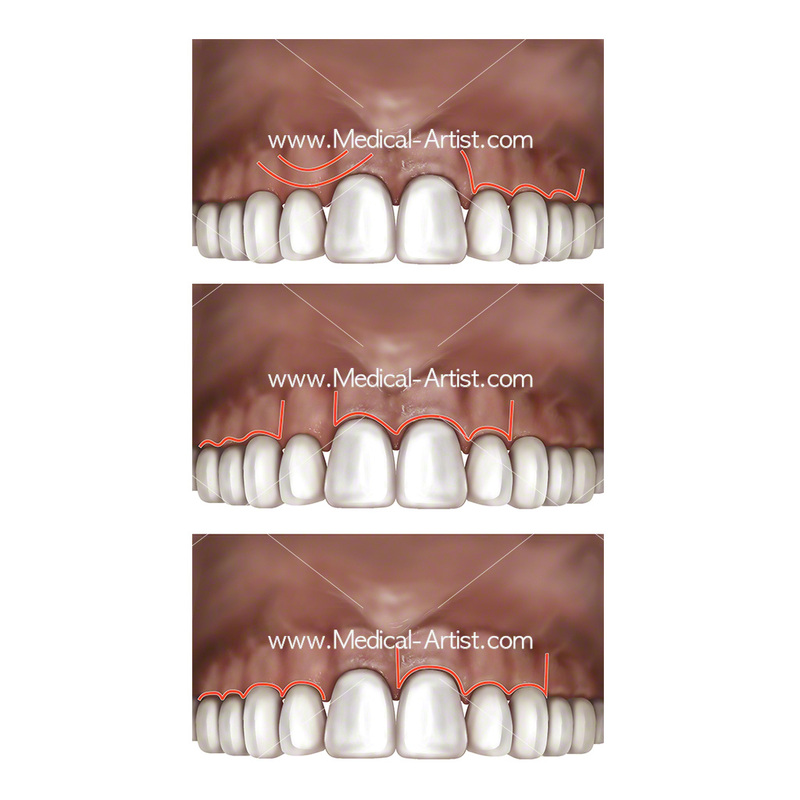 Completed by experienced and anatomically trained artists the dental surgery procedures are thoroughly researched before any illustrations are completed.